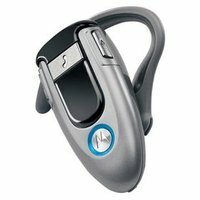 Buy.com has the IOGear Bluetooth Wireless Headset Class 2 for $20 after $10 rebate (expires 8/7) w/ free shipping. IOGEAR Bluetooth Cordless Headset: Enjoy true hands-free freedom with IOGEAR\'s Wireless Bluetooth Headset. This ultra-lightweight headset enables you to wirelessly place and receive calls on your Bluetooth cell phone, ending messy and potentially dangerous wire tangles. IOGEAR\'s Bluetooth Headset clearly transmits all your phone calls wirelessly to your phone via Bluetooth radio technology. This headset also allows you to make calls through Internet calling program such as Skype through a Bluetooth enabled computer. The Bluetooth Headset also comes with both AC and USB charger cable to make it convenient for mobile users to charge the unit while on the road. The Motorola H500: Streamlined and sophisticated, the Motorola Bluetooth Headset H500 provides wireless connectivity and convenience. Combining an ergonomic design and versatile ear hook, this sleek headset can be worn on either ear. Created to be ultra comfortable, the Motorola H500 is so easy to wear that you’ll forget you even have it on! But don’t be fooled by its good looks – this petite powerhouse provides impressive battery power to boot and an omni-directional microphone to clearly pick up your voice. A perfect companion for a variety of Bluetooth compatible 1.2- and 1.1-enabled mobile phones, the Motorola H500 is a must-have accessory for communicating in style. 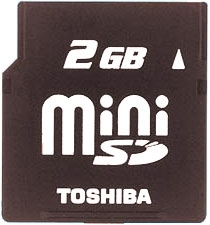 Toshiba Corporation announced an expanded line-up of large capacity miniSD memory cards with the introduction of a 2GB capacity card. The new Toshiba-branded miniSD will be launched in the world market in mid June 2006. Now I can store 35 hours of music, or video tape my son's next play in full. 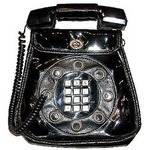 1970's Telephone Bag - Really Works! For all of you Music lovin Geek Chicks here at Must have GIZMOS you might need one of these to go with one of your red outfits: Red Metallic and Jeweled Guitar Purse. Great conversation piece! This is a beige faux leather purse shaped like a guitar. It is trimmed in red metallic. Uses large rhinestones and silver buttons for accents. 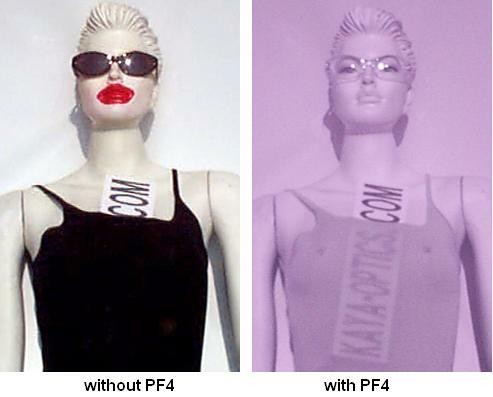 Kaya Special Optics now gives you Superman-like powers, specifically the famed X-ray vision, in the form of the new Infrared See-through Filter PF. Able to penetrate an object's surface, it actually allows you to see what's underneath. 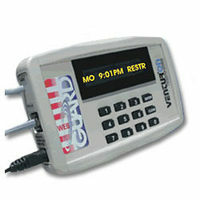 The Webguard is a programmable internet timer that was designed to give parents control of their family's internet access via dial up/DSL modem. 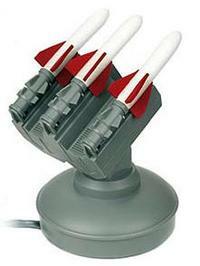 The compact, unobtrusive Webguard is simple to use and installs easily between the computer modem and wall jack. Internet access schedules can be programmed differently for weekdays and weekends. The programming mode is accessible by password only and invalid attempts will result in a "lock-restriction" display. Even the jacks are tamper proof to prevent bypassing the device. Also, the perfect firewall for business applications. 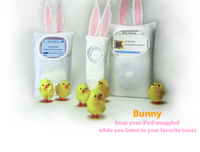 The folks over at iAttire have done it again... just in time for easter, they have bunny costumes available for your iPod. Keep your iPod snuggled while you listen to your favorite tunes. Each Bunny has access to the headphone jack, and the sheer fabric lets you easily see the click-wheel to find your favorite sounds. Bunny is made of fluffy pajama fleece, and comes with his own little friend in a basket.